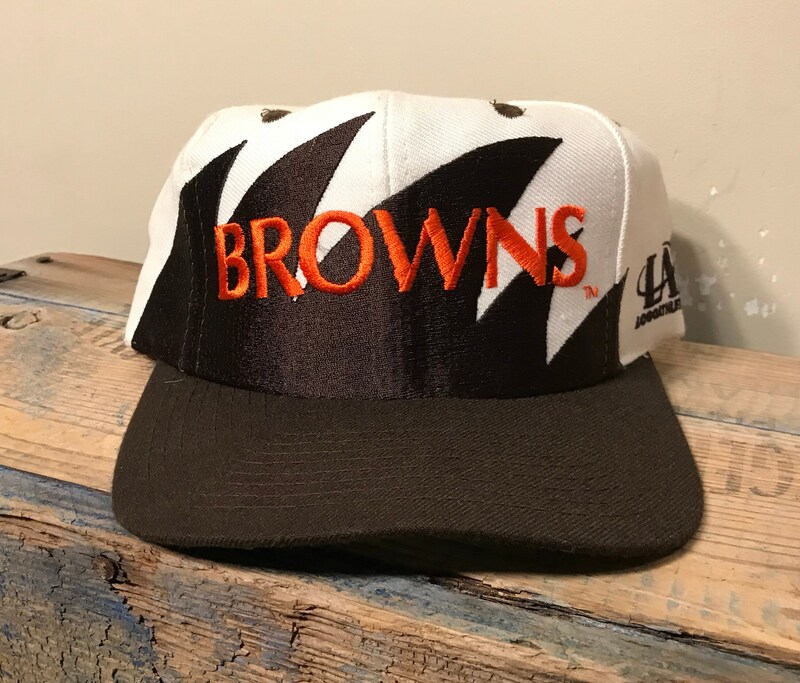 One of the rarest browns hats! The shark tooth made by logo athletic. This ones in nice shape. Very minor wear. Looks like it was hardly used or worn. Snaps tested and work. Check out pictures to see what you get. Hat will be shipped in a box to keep it from getting damaged.